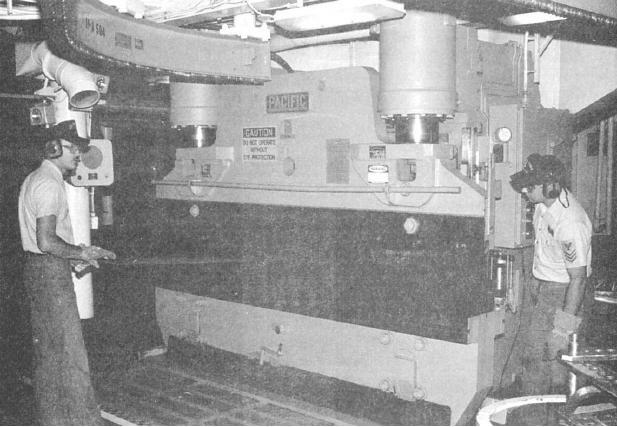 13-40 shows a typical brake press. requirements for each of these adjustments. different dies to perform several different functions. punch and die combination used in the shipfitter shop. These dies allow plate to be bent at various angles. and punches of the press brake.